So sorry if you received our Merry Christmas blog yesterday 🙁 The Christmas fairies had a hand in that … please read on for the correct first blog of the year! At 1 year, you have halved your risk of coronary heart disease. By 2-5 years, your risk of stroke is now the same as a non-smoker. At 5 years, you have halved your risk of mouth, throat, oesophagael & bladder cancer. By 10 years, your risk of dying from lung cancer is half that of a current smoker. Quit smoking & you will see and feel the benefits every day……………It’s so worth it! There is a strong co-morbidity between mood disorders such as depression, and tobacco use disorder. The disorder is a dependence on nicotine that elicits a reaction when a person stops smoking. In the first study of its kind, published in the journal Redox Report (2015), researchers looked at the effectiveness of N-acetylcysteine (NAC) in helping people quit smoking, and whether reduced tobacco use is associated with a concomitant decreased severity of depression. The 12-week double-blind randomised controlled trial compared the effectiveness of 3g of NAC daily with placebo. The study showed that more than double the number of participants taking NAC were able to quit smoking compared to those taking placebo. In those who did not quit, the number of cigarettes smoked on a daily basis more than halved. The effect was most apparent after week eight of NAC supplementation. Study authors also measured exhaled carbon monoxide which was almost 150% less in the NAC group compared to placebo. The mechanism is thought to be NAC’s role in activating the activity of the cystine–glutamate antiporter, resulting in increased activation of metabotropic glutamate receptors on inhibitory neurons which facilitates dopamine release. In this way, craving and reward behaviours are modulated. NAC is also thought to improve the damage caused by tobacco smoke exposure such as oxidative damage to the lungs. Another interesting finding was the significant reduction in the Hamilton Rating Scale for Depression (HDRS) amongst NAC users. Depression and tobacco use are comorbidities – 40-60% of those with depression are estimated to have tobacco use disorder. It is thought that nicotine has short term antidepressant effects by increasing the metabolism of serotonin. NAC may improve the pathways that cause serotonin depletion, and as a result, improve mood during withdrawal. 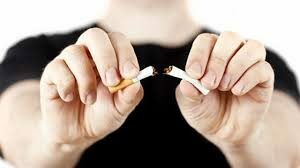 NAC was also found to help smokers maintain or slightly reduce weight while withdrawing from smoking. 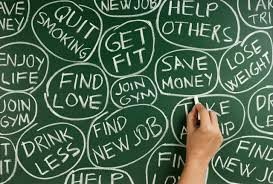 The average weight gain during tobacco withdrawal is 2-3kg – often a disincentive for people trying to quit. The study was co-authored by Professor Michael Berk, pioneering psychiatrist and mental health researcher who has authored more than 700 publications over 30 years of research. Prado, E, Maes, M, Piccoli, L, Baracat, M, Barbosa, D, Franco, O, Dodd, S, Berk, M & Nunes, S 2015, ‘N-acetylcysteine for therapy-resistant tobacco use disorder: a pilot study’, Redox Report, vol. 20, no. 5, pp. 215-222. A perfect blend of organic wholefood super greens to fuel the body and provide cells with the nutrients they need to function effectively. Completely natural with no flavours, juice extracts or masking agents, to ensure it is as natural and nourishing as possible. The barley grass and wheatgrass in this blend is sourced from New Zealand and is 100% ACO certified. High in vitamins, all major minerals, and over 100 trace minerals like Boron, Chromium, Cobalt, Copper, Germanium, Manganese, Molybdenum, Nickel, Selenium, Silicon, Silver, Sulfur, Vanadium, Essential Fatty Acids, free radical-destroying enzymes, Beta-Carotene, B vitamins including B12, Folic acid, Choline, Inositol, Biotin, Para-aminobenzoic acid, pantothenic acid, 250% more protein than meat (including chicken and fish) vitamin D, E, F, K, P, co-enzyme Q-10, chlorophyll, xanthophyll, flavonoids, gums and oils. It’s not about how much of a certain vitamin or mineral is taken, but how much of that is absorbed. It’s not about how many milligrams you get of this or that nutrient but how much actually gets to your organs from your bloodstream and into your cells where you want it to go. 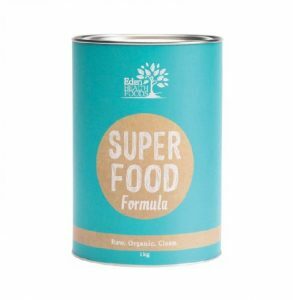 Superfood is complete nutrition, created and designed for maximum nutrition easily absorbed at a cellular level.